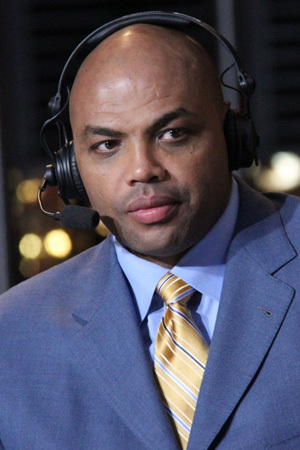 Iconic basketball star Charles Barkley upset a whole gaggle of NBA fans when he made some controversial comments about them earlier this week. What did he say that got everyone up in arms? Former NBA star Charles Barkley isn’t exactly known for being politically correct in his comments. The Weight Watchers spokesman hasn’t changed since he transitioned from the court to the broadcasting suite — and now he’s really stirring up NBA fans with his words. The former Houston Rockets power forward was a guest on Jim Rome’s radio talk show when he was asked about fan criticism. Barkley didn’t mince any words, saying that he thinks the haters should be taken out back and taught a deadly lesson. “Fans man. They love their team and their player. They don’t want to hear any criticisms. They just want you to be 100 percent for their team period. I think it’s only a small faction. I think 80 percent are great. Twenty percent, I wish you could take them out back and just shoot them,” he said. He wasn’t joking — sports fans aren’t exactly known for their constructive criticism of players and analysts. We totally get what he’s saying, but he probably should have chosen other words to express his disdain for the haters. Apparently, expressing an opinion is something only he should be allowed to do, based on some comments he made about former colleague Michael Jordan. The 49-year-old had some harsh words on how Jordan has handled owning the Charlotte Bobcats. Do you agree with Charles Barkley?